Aliens vs. 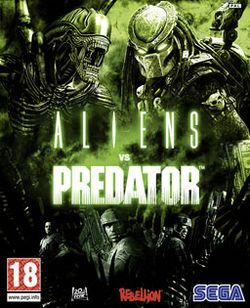 Predator is a science fiction first-person shooter, developed by Rebellion Developments, the team behind the 1999 original PC game, and published by Sega for Microsoft Windows, the PlayStation 3 and the Xbox 360. The game is based on the Alien vs. Predator franchise, a combination of the characters and creatures of the Alien franchise and the Predator franchise. It was released February 16, 2010 in the US, February 19 in Europe and February 18 in Australia.